The most successful marketers have a following, a crowd of raving fans who drop everything to hear what they have to say and buy anything they recommend. Social marketing comes plays a massive role in building a loyal following and a reputation. The ability to make friends and share content with ease in real time lets people see what kind of people we really are. My favorites are Facebook and Twitter – feel free to add me as your friend and follow me. Youtube is great too but I don’t have too many videos to share at the moment. That’s something I want to work on in the near future. Using social media like Facebook is a great tool to build a good reputation if you do it right, but you can damage your reputation if you aren’t careful and abuse the power of being able to “share” content and links at any time to a crowd of potential customers. Here are a few basic rules to follow when using social marketing to build your following and NOT piss people off. 1. Be human….not a spammy robot. You probably want to make money fast and posting heartless ad after ad seems like the logical way, but it is not the way to reach people. People can see straight through ads and will shun you instantly. Instead, show people that you are real. 2. Use it to build your brand. Like my previous post where I talked about using a personal blog to brand you or your company, your social profiles are branding tools too. If you’re always posting junk you will quickly become known as someone who posts junk…and soon no one will bother to look at your stuff. How you act and what you post reflects you and your brand, so use social media to strengthen it. 3. 90% fun, 10% business. The whole idea with social media IMO is to have fun….even if we are using it for our business. It’s there so we can share what we are doing and see what others are doing in real life. The reality is that no one wants to see ALL ads..they want to see what we are doing with our life. You’ll attract many more eyeballs to a picture of your microwave dinner than to a spammy link. I think a good ratio is 90/10. So for 9 times out of 10, upload photos, post related quotes, (clean…unless you can afford to post dirty) jokes, popular news trends, helpful selfless info and the BIGGEST one, make conversation with others. Sure throw in a link to a product or your website here and there, but keep them moderate. Like this post? Leave a comment below! 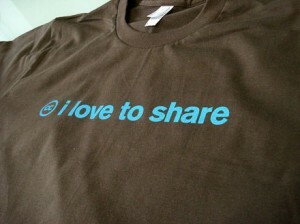 Or share any more tips you have about how to use social marketing for internet business. Great dear. 90/10 ratio is the perfect idea to promote any business. I think the best way, first target your audience and then listen them what they say about your niche or relating to it. always make organic friends by participating in their question answers or liking them. I just came across this site while wandering aimlessly around online, 🙂 I’m so glad I did. Thanks so much for all the great info!